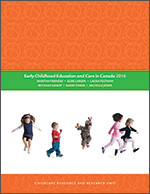 In November, 1998, a one-day symposium titled "Advancing early childhood care and education in Canada, the U.S., the U.K. and Australia: Exchanging knowledge and strategies across borders" was held at Toronto's Metro Hall. These four nations have had a common approach to programs for young children in contrast to the nations of western Europe. None has developed a coherent program of universal publicly-funded early childhood care and education. The purpose of the symposium was to compare and exchange knowledge and strategies for taking action to benefit young children and families across the borders of the four nations. Almost fifty presenters and 150 other attendees presented and discussed research and policy perspectives to stimulate discussion on key child care policy issues. The exchange of ideas bridged not only national borders but disciplinary ones to include developmental psychologists, political scientists, economists, child development specialists and sociologists as well as a wide range of service providers and community activists with an interest in child care and family policy.